DOCTORS ARE DISMAYED by the inadequacy of the Abbott government’s just-announced carbon emission targets of at least 26 per cent below 2005 levels by 2030, which it aims to take to the United Nations climate change meeting in Paris in December. We see a government who is again failing to acknowledge the enormity of the increasing health impacts of climate change, and failing to treat the problem with the urgency and seriousness it deserves. Instead the government shows a reckless support for coal, which is both detrimental to the climate and has significant direct health impacts due to the air pollution produced from both mining and combustion. Already in Australia the health impacts of climate change are increasingly evident, and will be felt in GP surgeries and emergency rooms. We know higher temperatures increase emergency department attendances for heart attacks in adults, and fever, gastroenteritis, asthma and metabolic diseases in children. 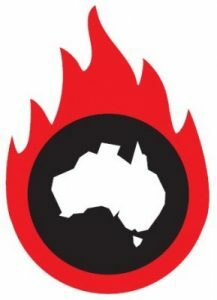 The 2009 Victorian heatwave coinciding with the Black Saturday bushfires is estimated to have contributed to an extra 374 deaths, and led to a 60 per cent increase in ambulance call-outs. Bushfire weather is increasing with drier and hotter conditions in much of Australia, yet few talk about the consequences for health or the contribution of climate change. Some 42 per cent of people had deterioration in mental health after the Ash Wednesday bushfires and almost half of children in the 2003 Canberra bushfires were suffering from symptoms of post traumatic stress disorder six months following the ordeal. Even at an additional 0.85 degrees of average warming — where we are today — our health systems are struggling to cope. One quarter of all hospitals had problems with their air-conditioning or cooling systems in the heatwave prior to the Black Saturday bushfires. In the Queensland floods of 2011, over 17,000 tetanus/diphtheria vaccines were distributed to reduce the risk of disease and Queensland Health information line answered 54,881 calls from flood-affected areas. Such impacts can be very costly to the taxpayer. The Queensland and federal governments provided $18.1 million to repair damage to health facilities from the 2010/2011 floods, and $37.8 million funded the Queensland Mental Health Natural Disaster Recovery Plan from 2011-2013. If the government allows climate change to continue essentially unabated, the health impacts and costs of climate change-related increasing extreme weather and sea level rise will be huge and more diffuse. Science suggests we’ll see changes to the spread of infectious diseases like dengue, and changes in airborne allergen and air pollution levels. Increasing extreme weather, droughts and water scarcity will impact on economic growth, food security, migration and geopolitical security, with potentially major ramifications for health. Unfortunately, it’s our children who will suffer most. A recent Doctors for the Environment Australia report, No Time for Games: Children’s Health and Climate Change (pdf) makes it clear that not only do they disproportionately suffer the current health impacts of climate change, they will also have more to lose over their lifetimes as climate change progresses. There is recognition that our health systems need to prepare and adapt to changes we can’t avoid. WA for example has a heatwave action plan in which elective surgeries are cancelled and hospitals put in other coping mechanisms to facilitate increased load during prolonged heat periods. A recent report on health and climate change from the world’s leading medical journal the Lancet made it clear, however, that adaptation has limits, and health systems will not be able to adapt to a four degree warmer world. Preventing worsening climate change is the only option. So it seems extraordinary that our leaders disregard the evidence that climate change is hazardous to health. It is perhaps even more extraordinary that they ignore the health impacts of coal-related air pollution. The health cost of air pollution from coal is estimated at $2.6 billion per year in Australia, and 1,500 deaths result from fossil fuel-source air pollution — more than the annual road toll. To seriously address climate change and therefore protect our health, we need targets to be at a very minimum in line with those recommended by the government’s own expert advisory organisation, the Climate Change Authority, which earlier this year advised a 2025 target of 30 per cent below 2000 levels and 2030 target of 40 and 60 per cent below 2000 levels. Such actions would mean a reduction in coal, with consequent improvements to health. The government has both an obligation and the capacity to protect the health of its citizens. When the government fails to do so and it’s clear vested interests are preventing progress, doctors must act to protect the health of the community. As doctors we have a moral responsibility to call it as we see it and to stand up for the health of the community. Dr Sallie Forrest is a medical doctor and a public health specialty registrar. 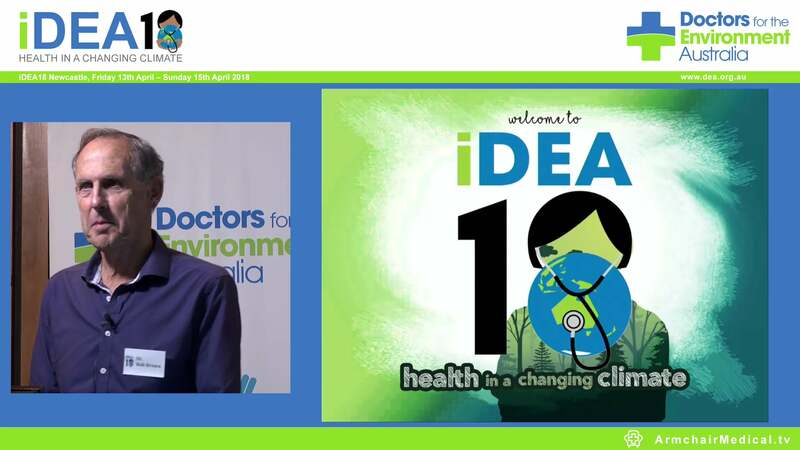 She is also a member of Doctors for the Environment Australia. This comment piece was first published in ABC Environment, 12 August 2015.